Had or participated in an Abortion? Find Healing and Forgiveness from Abortion!!! Bulk orders are available at a discount. Contact me for pricing. 3406 New Kings Bridge Rd. Tina was born in Atlanta Georgia. She grew up on a small farm with her mother and father and two of her older sisters. Tina's life today stems from an enexpected pregnancy right after she graduated from high school. She unfortunately decided to end her pregnancy through abortion. She tried to put it behind her and forget it ever happened, but as her relationship with Jesus grew she knew she had made the wrong choice. Today, Tina is Executive Director of Franklin Life Pregnancy Resource Center, Inc. in Carnesville, Georgia; the town where she graduated high school. She says she wants to be there for girls who may find themselves in an unexpected pregnancy just as she did those 25+ years ago. Tina also vows to share the truth about abortion and leads women who have had abortions through an Abortion Recovery Bible Study called Forgiven & Set Free. Tina has shared her testimony many times in churches, in Washington DC. to Congressmen & Senators, at the Capital in Atlanta on behalf of the Women's Right to Know Bill and the Ultrasound Bill. She has lobbied for The Human Life Amendment at the Capital in Atlanta, given several radio interviews and has been a guest on The Faces of Abortion Television Program. Tina's affidavit is filed with the Justice Foundation of Texas to hopefully see the overturn of Roe v.Wade one day. Tina has a wonderful supportive family: her husband, Darrell and three children, Shannon, Marley and Casey. She enjoys spending time with her grandchildren: Kade, Alexa, Judd and Allison. 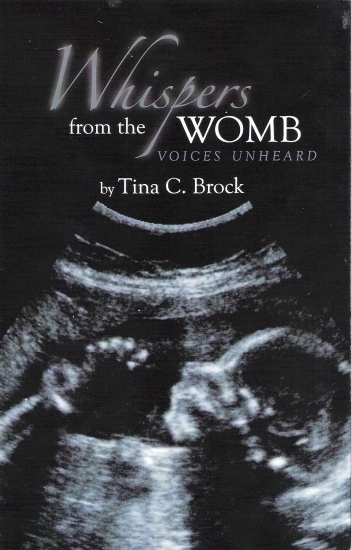 I dedicate this book to The Lord and to all the unborn babies that are facing abortion and to the babies who have lost their lives because of it. I want to thank God for loving me and saving me. I want to thank Him for using me to be a voice for His little ones. I want to thank my mom (in heaven) & my dad for raising me with love and discipline. I want to thank my sisters & brother for standing by me and loving me. I want to thank my husband and children for being such a supportive family. I want to thank all my friends who have prayed for me, encouraged me, stood by me and believed in me. Thank you so much. Please click on & sign the Guest Book page to the left! I would love to know you visited! Help support the young voice behind this "Please Mommy Please" poem, Christopher Edwards by visiting his "Huddle Up For Heroes" page!! !